• Are you a woman who dreams of starting her own business yet you have no clue where to begin? • Or do you have a business that isn’t performing as well as you’d like? • Do you know you need to do more marketing but you are not sure what to do first? 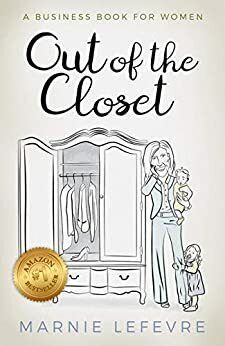 In this book, awarded international entrepreneur Marnie LeFevre details how she went from working for Richard Branson to growing her own marketing and branding business from her closet into a successful mainstream agency. Then after catching the business building bug Marnie went on to start, build and grow successful businesses, in many different industries, all over the world. Marnie details exactly how she did this and then shares practical mindset, planning and marketing advice for women starting or growing a business that want to make the money they deserve. Marnie’s down to earth, “if I can do it, you can do it” storytelling will carry you along on a learning journey that will show you that because you are a woman you can do anything if you set your mind to it, believe that you can, ask for help when it’s needed and never give up on your dream. Marnie shares marketing, branding and sales strategies that work and has included practical exercises to complete to accelerate your business growth, plus some personal tips on becoming a successful female entrepreneur. You’ll learn how to package and position your business for success so that it's easier for the right customers to find you. If you're struggling to understand how to begin, to grow and to market your business then this book is one of the best investments you will make. Plus you'll fall in love with Marnie's funny, sometimes quirky, forever practical style. "Put aside a couple of hours, nestle into a comfortable space and put up the 'not to be interrupted' sign. Once you begin reading this book you will not want to leave Marnie until she has finished and then you will want more. Marnie takes you on her journey, heart on sleeve, from car trips along the US west coast to marketing moments. As a reader you will share all her emotions and most likely relate them to your own experiences. Marnie then sets you up with the tools you need when stepping into the world of being a woman plus business. You'll be highlighting sentences all the way. I can confidently say this is an awesome resource for any woman who is considering the first step into business." "This book is a must read book for anyone in business or just starting out. Marnie takes you on quite an incredible journey by telling her story and the tasks she sets out in the book. From reading it I have a much clearer understanding on branding my business and feel much more connected to it. It is easy reading with fun activities to help you to grow personally and professionally. Thank you Marnie for sharing." Put aside a couple of hours, nestle into a comfortable space and put up the 'not to be interrupted' sign. Once you begin reading this book you will not want to leave Marnie until she has finished and then you will want more. Marnie takes you on her journey, heart on sleeve, from car trips along the US west coast to marketing moments. As a reader you will share all her emotions and most likely relate them to your own experiences. Marnie then sets you up with the tools you need when stepping into the world of being a woman plus business. You'll be highlighting sentences all the way. I can confidently say this is an awesome resource for any woman who is considering the first step into business. This book is a must read book for anyone in business or just starting out. Marnie takes you on quite an incredible journey by telling her story and the tasks she sets out in the book. From reading it I have a much clearer understanding on branding my business and feel much more connected to it. It is easy reading with fun activities to help you to grow personally and professionally. Thank you Marnie for sharing. This is a must read book for anyone who would like to know the secrets to business success. I found it really easy to read, lots of techniques, guidance and advise that you can start applying immediately to stand out from the crowd, make a difference and reach more people. This book also left me feeling excited to begin marketing myself and my business. Marnie also shares her fascinating experiences with the reader, inviting us into a personal journey - teaching business strategies that she herself has applied and found success. Marnie writes with humour, heart and wisdom. Loved it! This is a must read book for anyone who would like to know the secrets to business success. I found it really easy to read, lots of techniques, guidance and advise that you can start applying immediately to stand out from the crowd, make a difference and reach more people. This book also left me feeling excited to begin marketing myself and my business. Marnie also shares her fascinating experiences with the reader, inviting us into a personal journey - teaching business strategies that she herself has applied and found success. 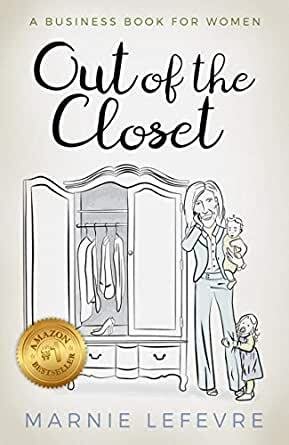 Marnie writes with humour, heart and wisdom and I'm looking forward to joining her 'out of the closet' and starting to have people find me and my services. Highly recommend!